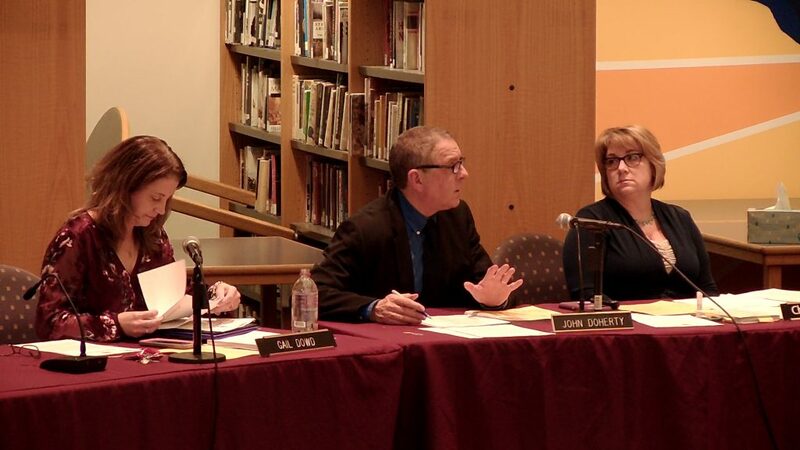 Superintendent of Schools John Doherty presented his revised 2019-2020 school year kindergarten plan to the School Committee at its February 7 meeting. The new plan came about as a result of parent backlash regarding the original plan which placed all kindergarten students in their neighborhood schools, but with integrated full day/half day classes. Many full-day kindergarten parents expressed concerns over that plan, citing that the School Committee, teachers, and the superintendent had stated in previous years that it was not an optimal educational environment for their students. The new plan places all half-day kindergarten students in their own classrooms with students in the Barrows and Joshua Eaton districts at Joshua Eaton Elementary School and half-day kindergarten students from the other elementary districts at Killam Elementary School. This was accomplished through reclaiming a classroom at Joshua Eaton that had been earmarked for the RISE pre-school. If additional space is needed in the half-day RISE program, it will be expanded into morning and afternoon sessions. Also, the budget will have to be adjusted to include an additional .2 full-time equivalent hours to accommodate the change. Resident Alicia Williams expressed frustration that this issue seems to occur annually. She recommended that the number of full-day slots in future years be limited. “You are pitting full-day parents against half-day parents if you don’t limit it,” Williams exclaimed. Committee member Linda Snow Dockser responded that she is opposed to a lottery for full-day kindergarten because she believes it will pit parents who do not get in against parents who do. “It will just be exchanging one problem for another.” Snow Dockser lamented. Parent Emily Cortio expressed personal concerns for her family, due to the fact that her half-day kindergarten student will not be in the same school as his sibling and this will create emotional challenges for her student. Doherty explained that only twenty-eight of the 320 kindergarten students for 2019-2020 have registered for the half-day program. “You can’t have half-day programs at all five schools due to the small numbers,” Doherty explained. He also shared that students traveling greater than 2.5 miles will have to be offered bus transportation to school. The bus schedule will be rearranged to accommodate this need. It is possible that the bus rides for elementary students could be as long as forty-five minutes. Any additional kindergarten registrations over the next seven months before the school year starts will only have the half-day option. Doherty stated that there could be as many as 15 additional kindergarten registrations before school starts in the fall. 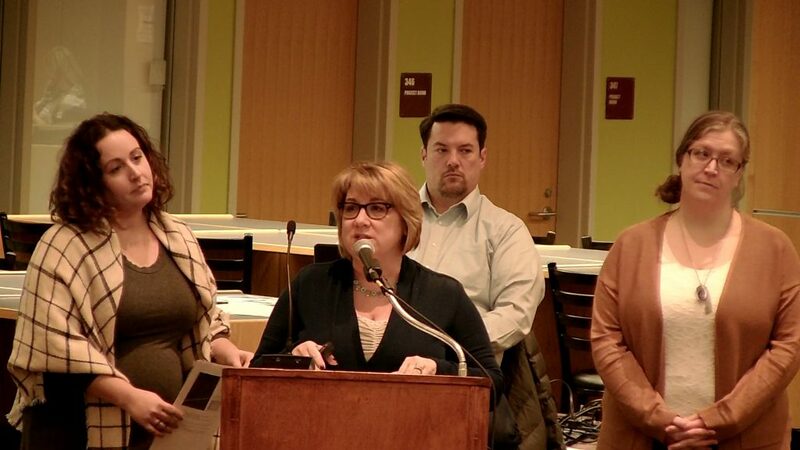 Related to the space concerns in the elementary schools, parents Ashley Quinn and Jennifer Zanni shared their concerns regarding first-grade class sizes at Birch Meadow Elementary School. Each of the first-grade classes at the school next year will have twenty-four students, which is greater than the School Committee guidelines recommend. classes at the other elementary schools all have class sizes below 21 students. Chair Elaine Webb responded that the committee is aware of the issue and reminded the parents that there are a lot of moving parts to confront space issues. Assistant Superintendent Christine Kelly and Curriculum Coordinators Allison Straker and Heather Leonard gave the committee a curriculum update. Kelly shared that the K-5 curriculum guides for science, math, reading, and writing have been completed. The curriculum guides for the high school are in their second and third drafts and should be completed soon. The team has just started the middle school guides and expects to complete the project by the end of next year. The guides, which committee member Chuck Robinson referred to as a “brochure,” use a standard template for all grades and levels and are an overview of topics and skills covered in each subject during a given school year. These are posted for parents, students, and members of the community to reference. The team is also working on developing curriculum maps. These tools are for teacher and administration use and will delve into greater detail for educators. Committee member Nicholas Boivin asked about the level of detail in the maps, questioning if each teacher at a grade level would be teaching the same chapters in the textbook at the same time. While teachers across the district will use the same curriculum maps, Straker explained that the maps do not exist to tell a teacher specifically which materials to use, but rather ensure that similar skills are being achieved across the district as well as vertically in each school. “Teacher A may use one poem to for their class, where teacher B may use another,” Straker commented. 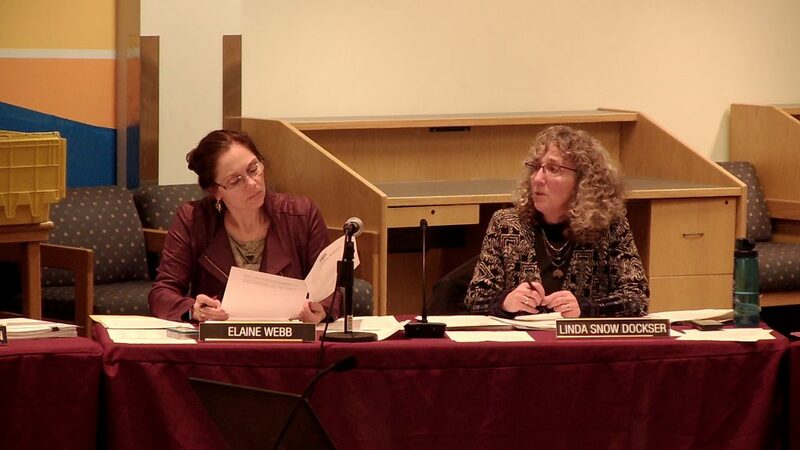 In her update, Director of Finance Gail Dowd shared that, after consultation, Town Manager Robert LeLacheur has decided to suggest to the Finance Committee and to Town Meeting that $300,000 be adjusted in the accommodated costs line item from health insurance to special education to help cover as-of-yet unknown out-of-district tuition and transportation costs. If approved by Town Meeting, the School Committee would have to vote on the change. Committee member Jeanne Barowski praised the level of cooperation between the town and the schools. “This does not happen in other places.” She commented. The School Committee voted 5-0 to accept a $4,375 donation from Samantha’s Harvest to support continued professional development and to support the Best Buddies program at the high school. The committee voted 5-0 to recommend a warrant article to Town Meeting allowing a technology back-up systems contract to exceed three years, but not to exceed six years. This could result in thousands of dollars of future savings for the town. The committee voted 5-0 to approve changes in the SEEM Collaborative agreement. The changes admit another town into the collaborative and adjust the agreement to reflect changes in state law. 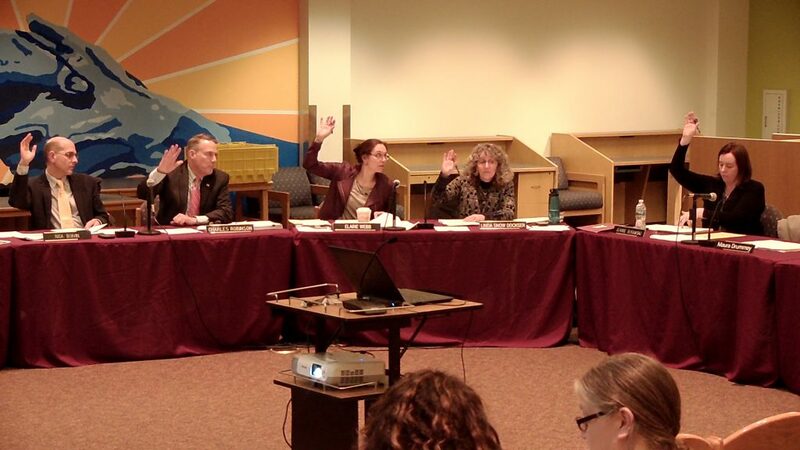 Citing the late hour, the committee voted 4-1 to table the planned first readings of a couple of revised policies. Boivin dissented stating that he would like the reading date to be specified for the March 28 meeting. Robinson expressed concern about having a policy discussion right before the town election. “There will be at least two, possibly three new members of the committee after April 2” Robinson explained. “The first reading should be discussed by those who will vote on the policy.” He continued. The School Committee adjourned at 10:30 pm.